The off-time was delayed by five minutes as No Needs Never unseated and was walked the rest of the way to the start. 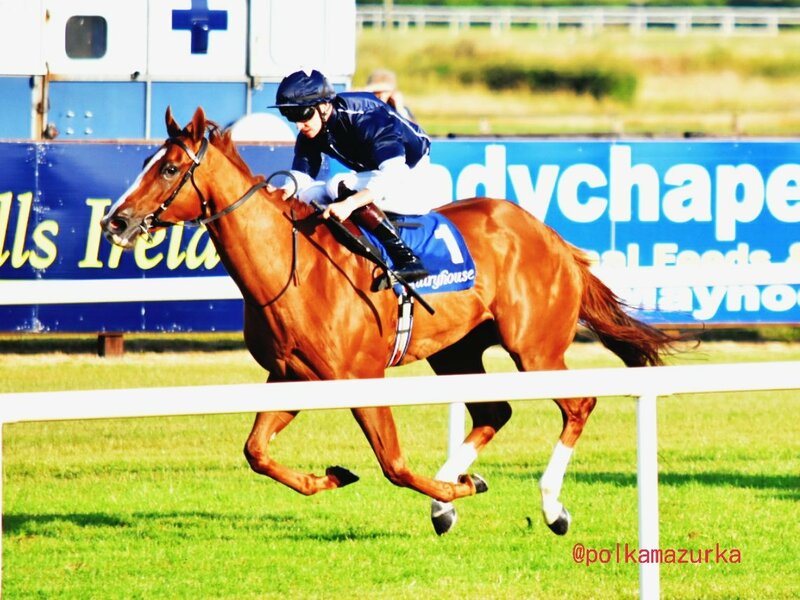 He repaid his rider Donnacha O'Brien with success in the Irish Stallion Farms EBF Maiden (Plus 10 Race) at Down Royal. At the business end for his brother Joseph, Donnacha coaxed No Needs Never (3/1) to a one length success over Cruciatus (5/4 favourite). "He's still big and raw. Ascot just came a bit quick for him, he just wasn't ready for it but he's a horse that is going to keep improving," said the winning trainer. "He's massive and the further into the season we go the better he is going to be. "I think it's more a little bit of weakness (carrying his head high) and maturity more than anything. I never had to hit him today, I just pushed him out to the line. "He travels very well and I think seven (furlongs) is ideal for him now. You could try him at a mile and he has the pace for six (furlongs). I think seven suits him." 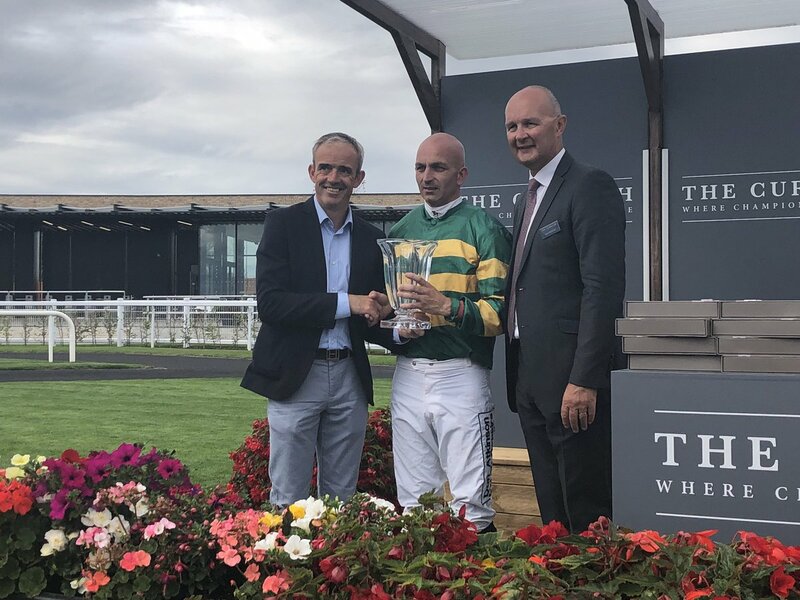 National Glory completed a quick treble for Donnacha O'Brien, and a double for his brother Joseph, as he ran out an easy winner of the O'Neill & Co. Chartered Surveyors & Auctioneers Maiden. Having took the opener on Focus Of Attention, the winning rider then teamed-up with his father Aidan when successful on North Wind in the second. Placed on his last four starts,National Glory was expected to get off the mark today, going off the 1/4 favourite having been available at 8/13 in early shows. Prominent throughout, the bay victor held a definite advantage from halfway. He was pushed along over a furlong out and soon went clear, keeping on well from there to score easily by two lengths. Chillala (25s to 16s on-course) ran a fine race to finish second under Killian Leonard for Fergal Birrane, while Elegant Lass (33/1) was another four lengths back in third for Tom Gibney and Colin Keane. "He had bumped into a couple of decent horses in a few maidens and was entitled to go and win one," the winning trainer said. "He's probably better at seven but it's nice that he got the job done and it's great to get another winner for Sun Bloodstock. I think we've had 10 or 11 seconds and that's our third winner. The horses having been running well but knocking on the door a bit. "I think he could step into Listed company somewhere. He'll either step into a premier handicap or a Listed race. He's rated 82 and there might be a little bit more to come." Focus Of Attention followed-up on her win at Fairyhouse, as she got up close home in the opener at Naas, the Bunoscionn Perform At Naas Handicap. Previously trained by Eddie Lynam, and bought for E23,000 at Goffs in February, she was third on her debut for Joseph O'Brien at Navan last month. 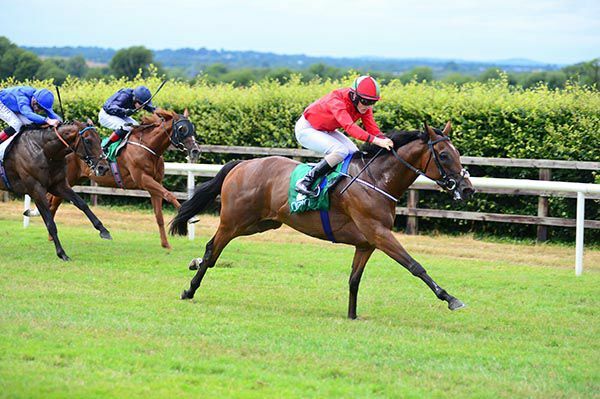 Successful at Fairyhouse just last Wednesday, the daughter of Intense Focus was expected to win again this evening, going off the even money favourite in the colours of the Joseph O'Brien Racing Club. Settled towards rear, the chestnut four-year-old was niggled along from halfway, making progress from over a furlong out. She came with her effort inside the final furlong, and got to the front with under 50 yards to race, going on to score snugly, by half a length. The front-running Rapid Reaction (14s this morning and from 8s to 7s on-course) had to settle for second under Andrew Slattery for Jimmy Coogan. Polly Douglas (16s this morning and from 11s to 8s on-course) was another length and a three parts back in third, with Dylan Hogan aboard this one for Kieran Cotter. 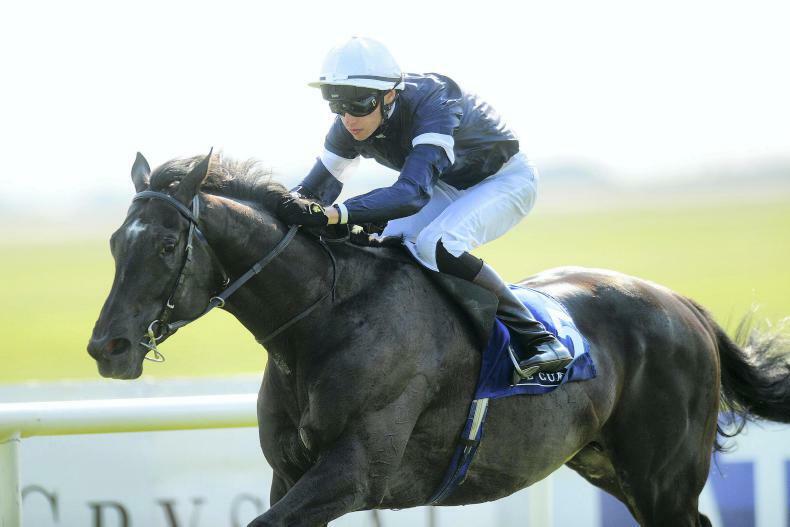 "She looks like she could do with going back to six furlongs," said O'Brien. "I was worried at halfway, I thought she would have lots of pace for five, but I was wrong. "Donnacha said when she met the hill she galloped out to the line well. I think he just gave her a flick but when it's that close it's never that cosy and looking at it at halfway I was worried. "If you were looking at the others they weren't going that quick but If you were looking at her she was flat out. "She's due to go up a pound and might get another four on top of that maybe. That was a 0-90 today so she'll get another shot at that bracket." 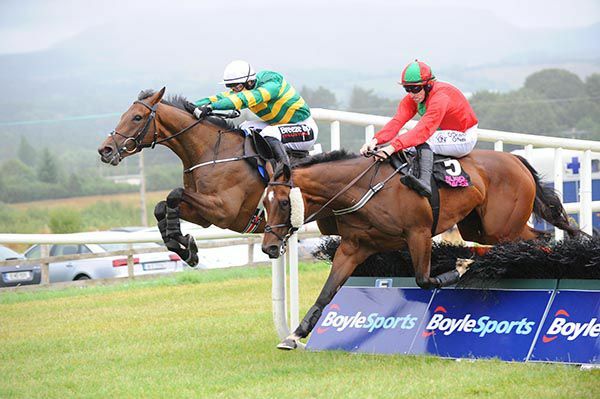 Dream Point fell in the 18:50 at Ballinrobe - looks like she lost her footing &she slipped on the turn. Both Horse and jockey are fine. 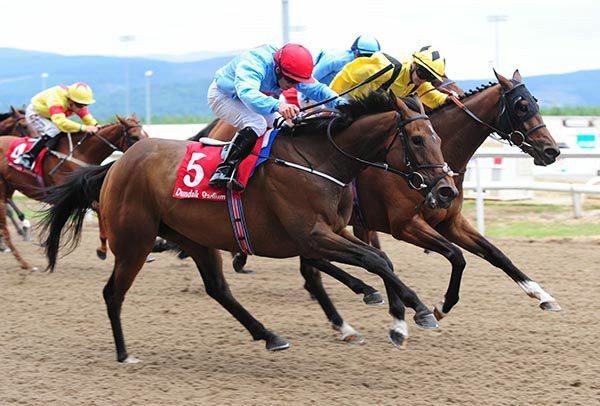 Successful over the course and distance in early June, the daughter of Elzaam followed-up at Fairyhouse before completing a hat-trick at Dundalk just last week. Sent off the 3/1 favourite this evening, she was settled behind the leaders by Donnacha O'Brien, and was third from halfway. She got a perfect run through on the inner under two furlongs out, and led just over a furlong from home, keeping on well under pressure from there to score comfortably by a length and a quarter. Betsey Trotter (7/2) finished second under Declan McDonogh for Dermot Weld, while Premier League was another half a length back in third. 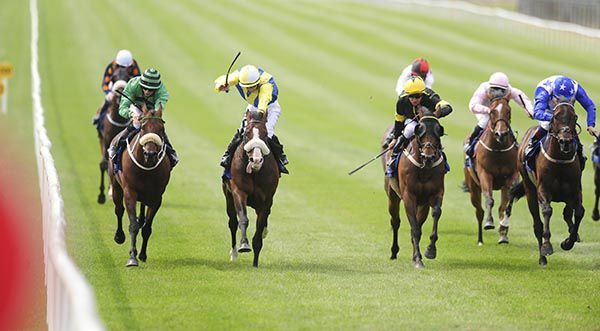 O'Brien, who was earlier on the mark at Killarney with Meticulous, said: "She's a right filly. She started off on 57 and she's improved away with each run. "If the handicapper isn't too hard on her she might get something again. She's done her job. "To win four handicaps in Ireland takes a big of doing, there's not too many horses win four in-a-row. In fairness to her she's a right filly and if we got a few more like her we'd be going alright. "She'll probably go for something in Galway." Meticulous put in an impressive performance on his debut, easily dismissing his eleven rivals in the Christy Lucey Transport Limited INH Flat Race. Out of thirteen time winner Refinement, who was twice successful at the highest level, the Joseph O'Brien trained gelding was well-fancied to score on debut today. Having opened on-course 9/4, he came in for good support, and eventually went off the clear 13/8 favourite under Tom Hamilton. Settled behind the leaders in third, he improved into second down the back straight, and hit the front with over two furlongs to race. The Michael Tabor owned bay was soon ridden and quickly went clear, coming home nine lengths to the good over Chasing Abbey (4/1) in second. Conor Orr was aboard the runner-up for Paul Flynn, while Hammerstein (7/1) was another length and half back in third. 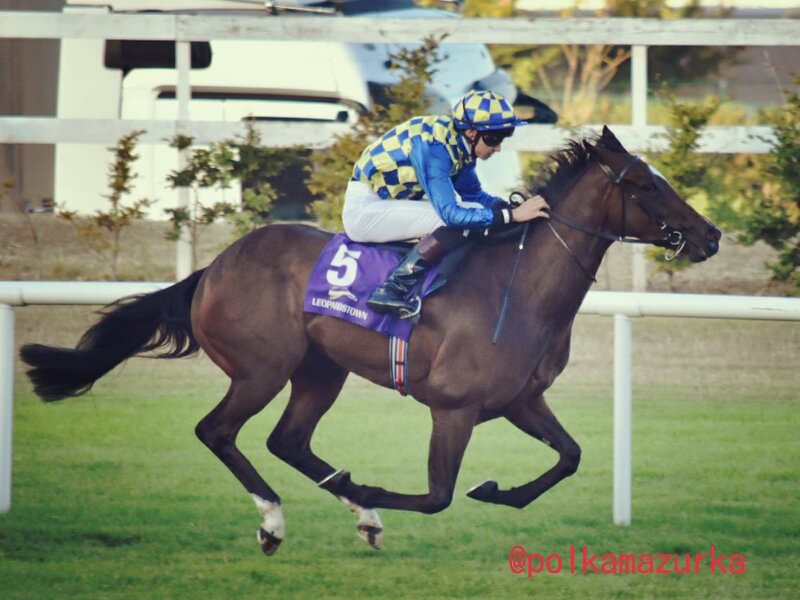 Speaking on Attheraces from Leopardstown, O'Brien said: "I'm very pleased with him. He'd been working nicely and is a very well-bred horse, by Fame and Glory out of Refinement. He won well. 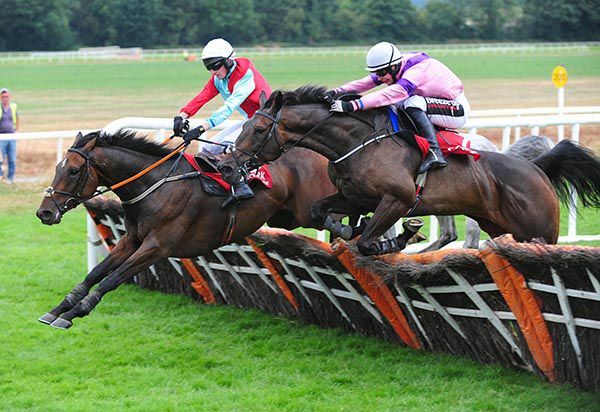 "I'd say he'd have no trouble winning a Flat race and I'd say he will probably go hurdling at some stage. We might look for a winners bumper for him now maybe, and we'll go from there." 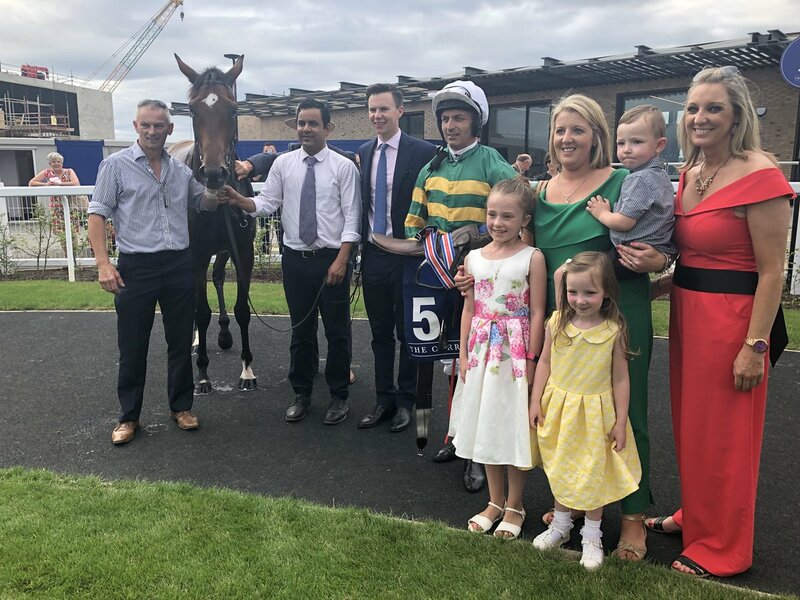 The recently formed Joseph O'Brien Racing Club got off to the perfect start when Focus Of Attention landed the second division of the Race Displays Handicap at Fairyhouse. The Intense Focus filly was sent to post the 11/8 favourite for the six-furlong contest but was faced with a wall of horses early in the straight. Donnacha O'Brien had to bide his time but she got her gap a furlong from home and soon scooted clear to record a two-and-three-quarter length success. “I just had to wait for the gaps but she was fairly well handicapped so once I did get there she quickened up nicely,” said the winning rider. “It's a brilliant start as we only launched it two weeks ago. All the lads here are the early birds. “It's about getting people involved at a very affordable level and getting a great experience for that. “There are lots of opportunities there for people with syndicates but they tend to cost a fair bit more to get involved in, have upkeep costs and you are committed in. “With this it's a one off membership fee of €500 for the year, less than a tenner a week, and you're involved in at least three horses for the full year with no extra money at all going in. “Hopefully we can get a few winners and we've had a great start here. 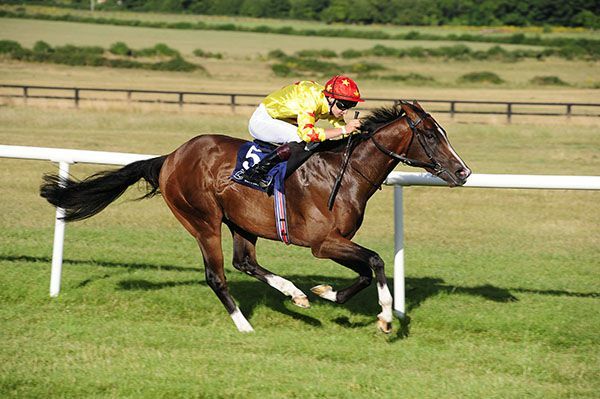 We have another runner at Leopardstown tomorrow evening in Subjudice. “The whole aim of it is to give people the opportunity to be involved in a big yard with well-bred horses, give them plenty of action and hopefully a real good ownership experience in the hope that they will increase their interest and maybe step up in to a syndicate, partnership or maybe even sole ownership. 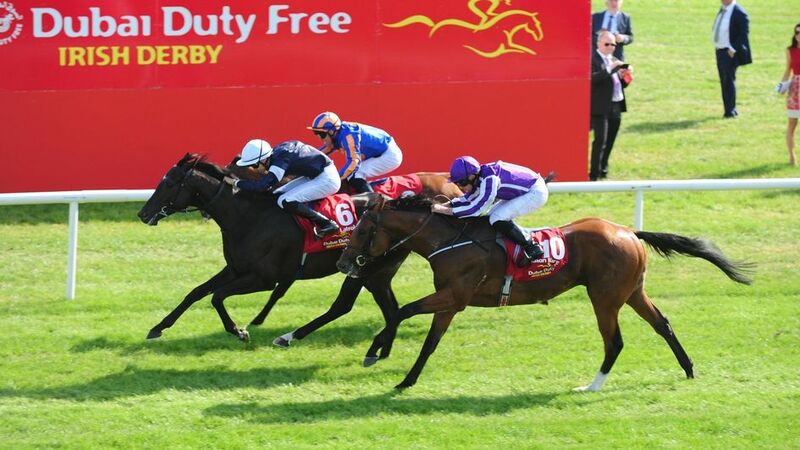 Dubai Duty Free Irish Derby hero Latrobe is set to make his next appearance in either the Sky Bet Great Voltigeur Stakes or the Juddmonte International at York next month. 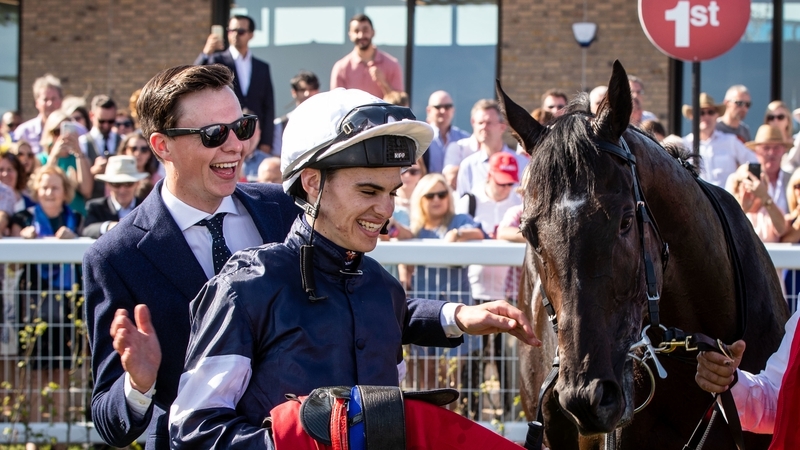 Trained by Joseph O'Brien and ridden by his brother, Donnacha, the Camelot colt claimed a famous victory in last month's Curragh Classic, with father Aidan O'Brien saddling the second, third and fourth home. With the dust having now settled on his success, O'Brien now faces a decision on whether to stick to a mile and a half with Latrobe in the Voltigeur - but drop down to Group Two level - or test his powers at a mile and a quarter in the Group One International. The trainer said: "We haven't made any definite plans, but I think the most likely scenario is he'll go to York for something there. Whether he goes for the Voltigeur or the Juddmonte, we'll see nearer the time. He'd have a penalty in the Voltigeur, which wouldn't be ideal, but we won't make a decision on which race he'll run in until we have to make it. He seems in good form." O'Brien and owner Lloyd Williams combined to claim Melbourne Cup glory with Rekindling in November, and Latrobe is quoted at 25/1 by Sky Bet for this year's running of the 'race that stops a nation'. 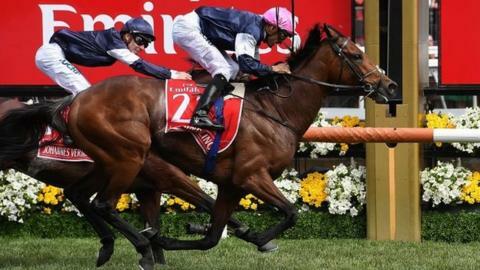 O'Brien added: "It's too far away to discuss that (Melbourne Cup)." Joseph O'Brien's Iridessa bounded clear in the final furlong to make an impressive debut in Killarney's median auction race for juveniles. The daughter of former Epsom Derby winner Ruler Of The World was the only filly in the field and looked to have a daunting task against three former winners and Cardini, who was fifth in the Listed Chesham Stakes at Royal Ascot. Cardini went off 4/5 favourite for Aidan and Donnacha O'Brien and set out to make all over this extended mile. 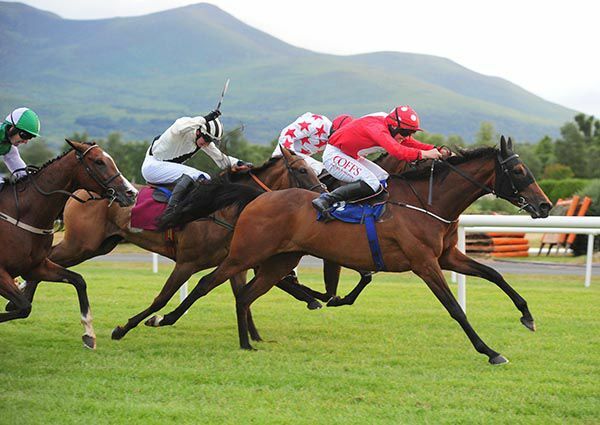 However, Iridessa made good headway to challenge under two furlongs out and picked off the favourite approaching the final furlong under Seamie Heffernan. The 20/1 shot went right away from Cardini in the final 100 yards to score by four lengths. Seamie Heffernan said: "Joseph gave me the impression he liked her and I'd be inclined to agree! "I haven't ridden many easier winners around here and she was by Ruler Of The World, which we had (at Ballydoyle), and she's definitely bred to be above average. I wouldn't mind riding her again and she's real nice. "Aidan's (Cardini) is a lovely, lovely horse but is still immature and is going to take a few runs and is going to end up being a Group horse." 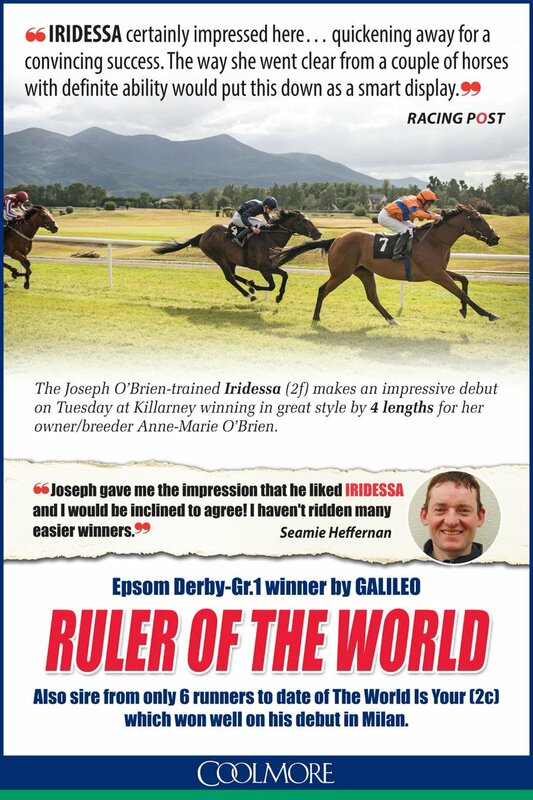 This was a first winner for the sire Ruler Of The World. Beautiful Citi came out on top in the last at Killarney, the Ladbrokes Download The Grid App Mares (Pro/Am) Flat Race. 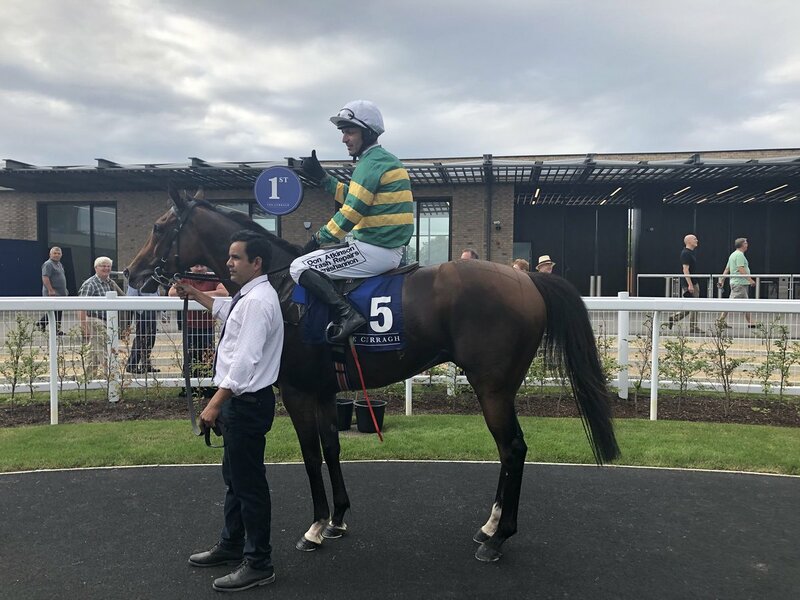 Fourth on her debut at Tipperary in May, the Joseph O'Brien trained four-year-old got off the mark on her next start at Clonmel. Available at 9/4 this morning, the Sean O'Driscoll owned bay owned on-course at just 7/4, before going off a 6/4 joint-favourite under Tom Hamilton. Settled behind the leaders, the daughter of Fame And Glory was pushed along to challenge from two furlongs out, and kept on best inside the final furlong to prevail by a length. Cheap And Cheerful pulled away in the closing stages to land the odds in the Durkin Bros Electrical Maiden Hurdle at Sligo. 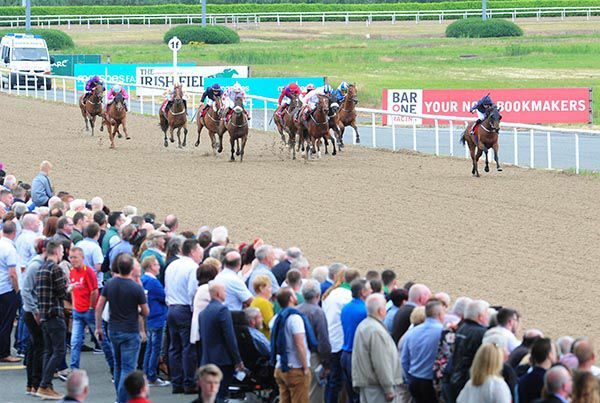 The Joseph O'Brien-trained gelding was sent to post an 8/15 shot for the two-mile contest, confined to unplaced horses, after a decent effort to finish fourth at Limerick last weekend. JJ Slevin, in the JP McManus colours, always had his mount to the fore. He was tackled by Go Complain jumping the second last but had too many guns for that rival, pulling away on the run-in for a six-length success. “Off a mark of 108 he was always going to be entitled to win that kind of race,” said Slevin. “He got the job done well enough. He was a little bit lazy and lairy off the last bend when he saw a set of cheekpieces arriving and got a bit wide for a minute. Ming made it three wins from four starts, as he took the feature at Navan this afternoon, the Irish Stallion Farms EBF Race. Successful on his debut at Dundalk in April, the Joseph O’Brien trained bay then finished sixth in a Group 3 at the Curragh. 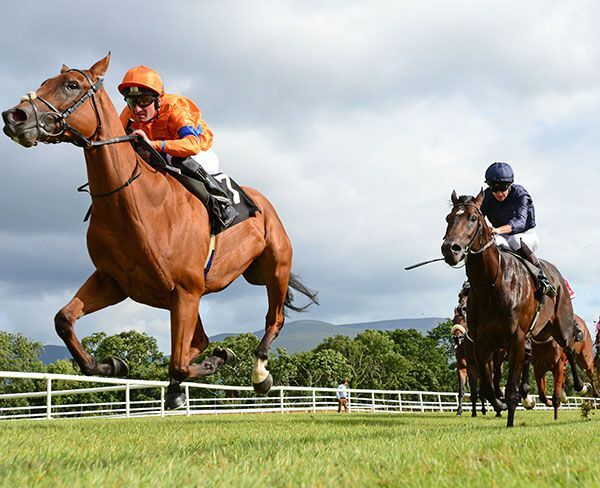 He got back to winning ways in a three runner contest at Gowran last month, and was expected to follow-up today, going off a 6/5 favourite in the colours of owner Demi O’Byrne. Settled in rear by Billy Lee, the son of Pour Moi took closer order on the outer from over two furlongs out, and swept through to lead with a furlong left to race, keeping on well from there to score comfortably by two and a half lengths. Change Of Velocity (7/4) finished second, while Spanish Point was half a length back in third. "He did it nicely. He's a horse that's improving and going the right way with a bit of racing," said Lee. "Joseph rang me this morning and said just to take my time, put him to sleep early and he did that. He travelled around lovely and he got me into the race beautifully. "I just gave him a squeeze, he picked up and he's done it naturally, I didn't even hit him a belt. I think there is more improvement to come. "He's not a slow horse so I wouldn't think he'd need a mile-and-a-half just yet. He could stay at ten furlongs but obviously on pedigree he has the capability of going to middle distances. "He's a good horse. He's run in a Group 3 and he just did a bit much that day in the Gallinule. Joseph brought him back, he won well in Gowran and he's won well today. "He's well entitled to step up again now. After winning the second with Howth Summit, Joseph O'Brien and JJ Slevin doubled-up with Glocca Mora in the Mallowprint.com Maiden Hurdle. Third when favourite on his last start at Kilbeggan, the son of Fame And Glory was stepped up in trip to three miles for the first time today. Having opened on-course at 9/4, he drifted out to 7/2 at the off. With Cooldine Bog and Caliption racing clear of the field, the bay victor was settled well off the pace in mid-division. He closed on the front pair from four out, and was ridden to challenge on the inner from the second last. He got to the front before the final flight but was soon pressed by Shetland Bus, with just a neck separating them at the line. Slevin, who was earlier on the mark with Howth Summit, said afterwards: "The step up to three miles suited him and he jumped better in the latter part of the race. He stuck at it well but was a bit green in front. He is a grand staying horse and is good and hardy for a four year old." Howth Summit got up close home to beat Bensachuine in the Whitechurch GAA Goes Racing Maiden Hurdle. 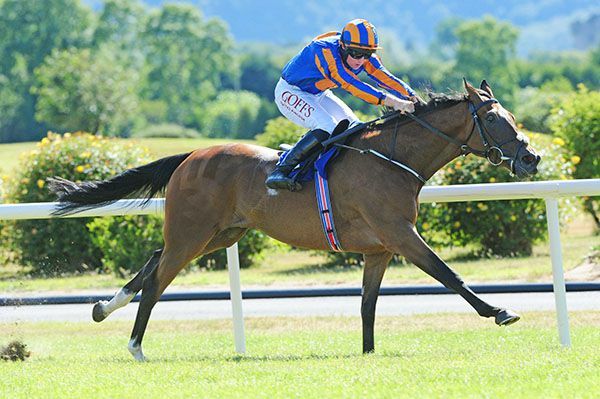 Ninth on his debut at Tipperary last week, the Joseph O'Brien trained five-year-old proved easy to back, and went off at 20/1 having opened on-course at 16s. Settled in mid-division by JJ Slevin, the son of Stowaway was ninth with a circuit to race. He was closer in sixth from four out, and was pushed along to challenge on the outer approaching the second last. The bay victor wasn't fluent at the last and was ridden on the run-in, staying on best to lead close home, getting the better of Bensachuine by a length. The Denis Hogan trained and ridden runner-up was backed from 5s into 7/2 on-course, with the front-running Cesar Du Gouet another two and a quarter lengths back in third at 40/1. The front thee went eight lengths clear of the 8/11 favourite Turbo in fourth. Slevin said afterwards: "His jumping was very good apart from the last. He's a fine big stamp of a horse and I'm sure he'll jump a fence some day. "He lost plenty momentum at the last when he got right under it and did well to get back up. Trainer Joseph O'Brien completed a treble at Dundalk today as his Faradays Law lunged late to win the concluding O'Neill's Sportswear Handicap under jockey Wayne Lordan. The four year old daughter of Lawman had failed to win in ten previous runs and today scored a 20/1 success to provide O'Brien with his third success today, having won the opener with Eos and a handicap with Waitingfortheday. O'Brien wasn't present but jockey Lordan later said "she had some good runs early but she lost her way a little bit then. 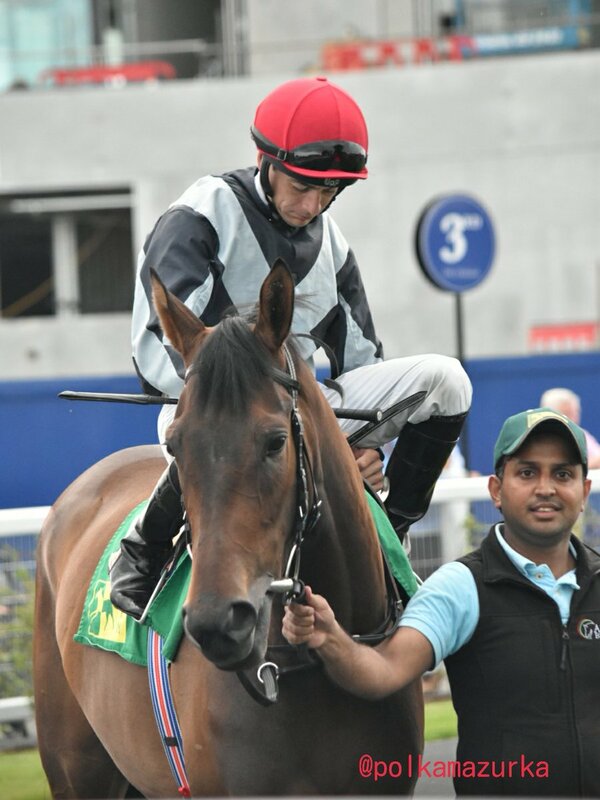 Joseph (O'Brien) got her and she ran well here to finish second and then she went to Leopardstown and Ballinrobe and ran OK but back on this surface she seems to enjoy it. She's a tough filly and kept at it well today. "Joseph said she had gone on the surface before and the trip was no problem. He said she was in good order and that if everything went right she would take a bit of beating. "She's quite a big filly, she might just be coming into herself now. She's a well-bred filly as well so every win is a plus." 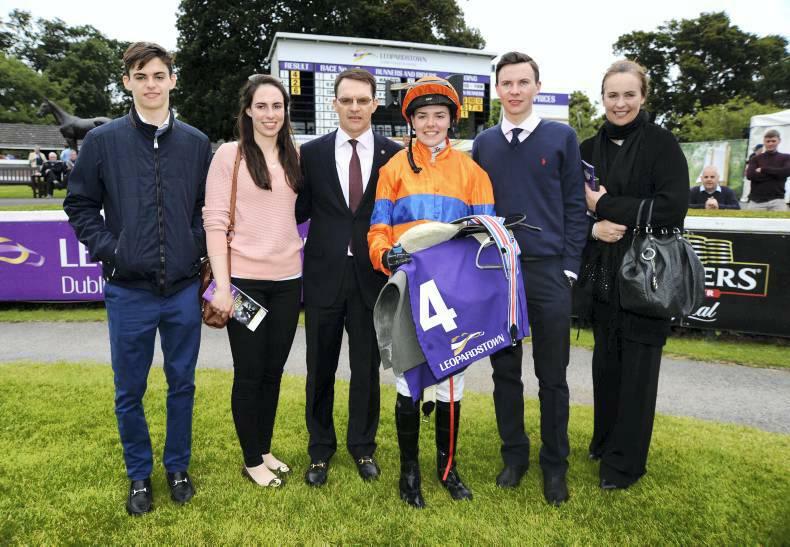 Trainer Joseph O'Brien and brother jockey Donnacha O'Brien's amazing recent success continues unabated and the pair combined for the second leg of respective doubles at Dundalk today, as Waitingforthedaycompleted a hat-trick of wins of her own in the Highline Construction Handicap. The list of top class races the O'Brien brothers have scooped in recent months includes a Melbourne Cup, Irish Derby, English 2,000 Guineas and English Oaks and today, at a lowly Dundalk fixture, jockey O'Brien moves three winners clear at the head of this season's Jockeys' Championship with his win on Waitingfortheday. O'Brien, who now leads current Champion Jockey Colin Keane 47-44 in this season's race, later commented “she's a tough, little filly and it's nice to get another win into her. "I wasn't sure if I held on, sometimes it's an advantage to be on the rail here." Trainer Joseph O'Brien won the opener with the Shane Crosse partnered Eos while jockey Donnacha initiated his own double on his father Aidan's Indianapolis. 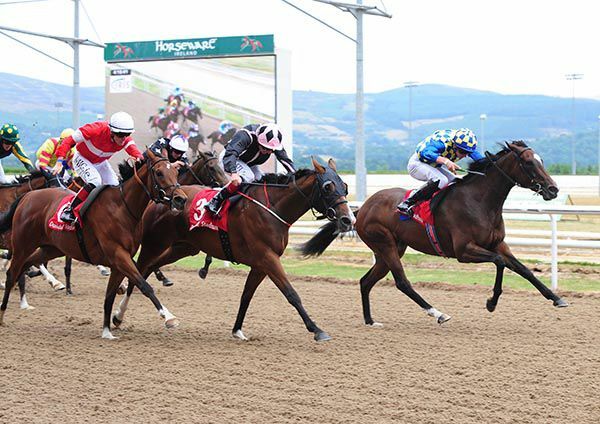 Well bred Eos comfortably won the opening HMT Shipping Claiming Race at Dundalk today and avoided being claimed, as the John Magnier owned filly scored for Irish Derby winning trainer Joseph O'Brien and promising apprentice jockey Shane Crosse. Crosse, partnering his sixth winner, displayed plenty strength in the saddle as he sent Eosclear with two furlongs to race and in the end the pair scored a five lengths win over Descendant, which was later claimed for E8,000 by Cathy Brown. Eos, whose dam is a sister to a Group 3 winner, was on offer to be claimed for E10,000 and after the success jockey Crosse said "in Naas it was a very messy race and the horse in front got tired and she was left alone for a lot of the race and just got touched off. To be honest it was a cracking run. "Exactly (I wanted to stretch them) but I wanted to have a horse with me and it jumped perfect for me and he brought me as far I wanted in the straight. She put her ears back and got to the line well. "She did it very well in the end." The Irish Derby hero Latrobe will skip this Saturday’s Juddmonte Grand Prix de Paris and instead appear at York’s Ebor festival next month. Joseph O’Brien is set to choose between the Group One Juddmonte International and the Group Two Great Voltigeur for his first classic winner as a trainer. “We just thought it would be a nice time not to rush him back, give him a little mid-season freshen up and have him for the autumn,” O’Brien said on Tuesday. He confirmed Latrobe will miss French racing’s Bastille Day highlight at the Paris-Longchamp track this weekend but added he still plans to be represented in the Group One by Downdraft. Both colts are among just eight currently left in the 1½ mile race, which O’Brien won as a jockey in 2012 aboard Imperial Monarch, trained by his father, Aidan. Father and son dominate the entries on Saturday, with O’Brien snr able to count on three possible starters: the Irish Derby runner-up Rostropovich; Kew Gardens, who won the Queen’s Vase at Royal Ascot; and Nelson. 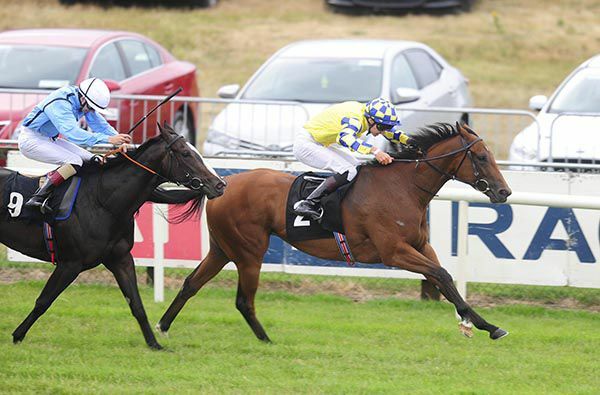 Supplementary entries will be possible later in the week but it could be Dee Ex Bee, runner-up at Epsom before disappointing in the Curragh Derby, who presents the most significant challenge to the Irish raiders. Downdraft looks to have a major task on his hands having finished out of the frame in the King George V Stakes at Royal Ascot last time. Prior to that he won a handicap at Navan off an official mark of 88. 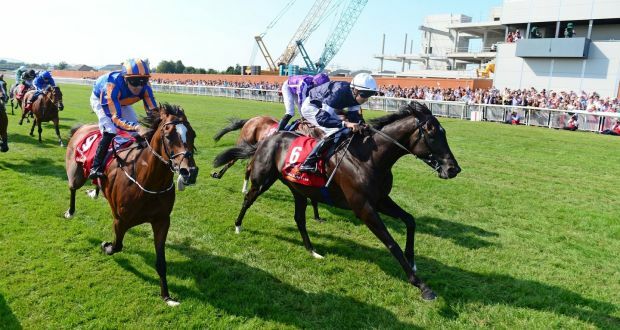 The Irish Derby success for O’Brien and his younger brother Donnacha is already assured of being one of the main racing stories of 2018, but it’s unlikely there’s going to be a Group One repeat in France. Joseph has a new horse Perfect Tapatino and a new owner Charles E Fipke. Vallambrosa just prevailed in the opener at Fairyhouse, the Irish Stallion Farms EBF Fillies Maiden, scoring under Donnacha O'Brien for his brother Joseph and mother Annemarie. 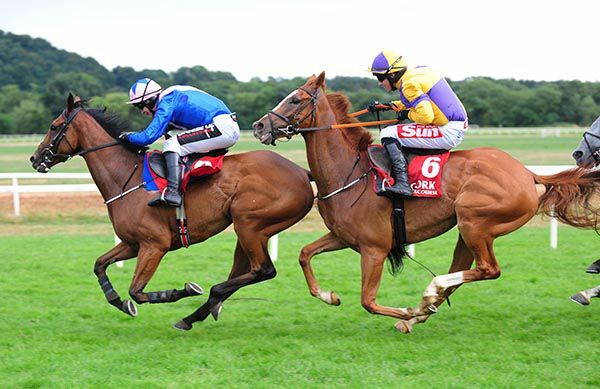 Beaten a neck into second on debut at Limerick, the daughter of Holy Roman Emperor then finished fifth of seven in a Group 3 contest at the Curragh. Sent off the 6/4 favourite this afternoon, the bay victor went straight to the front. She was pushed along and went a few lengths clear over a furlong out, however she was reeled-in and strongly pressed in the closing stages by Coral Beach (9/4 to 15/8), with just a nose separating them at the line. The Aidan O'Brien trained runner-up came with what looked a winning run inside the final furlong, but a high head carriage certainly didn't help her cause. Donnacha O'Brien said afterwards: "I think Seamie headed me but she put her head down the last 50 yards and kept trying. She had more experience than most of them and has a good attitude so there was no point in taking her back too much. "I think when she goes seven and maybe a mile she'll be better again." The Joseph O'Brien-trained Monarch battled gamely to land a nice pot in the featured Fast Shipping Bellewstown Handicap Hurdle on the Hill Of Crockafotha tonight. The 3/1 joint favourite was settled mid-division early in the €30,000 contest before taking closer order jumping the third last. Mark Walsh produced his mount to challenge two from home and he overhauled Stormey on the run-in to gain a half-length success in the colours of JP McManus. “He jumped well and in fairness to him he battled well as he looked in trouble going to the last,” said racing manager Frank Berry. “He loved the ground and that's a big help to him. Focus Of Attention is aptly named for Joseph and Donnacha O’Brien in the Fairyhouse Family Funday Handicap. This Intense Focus filly has dropped to a mark of 65 and just gets into this contest after being placed in a higher grade at Navan. She makes her debut for the Joseph O'Brien racing club. 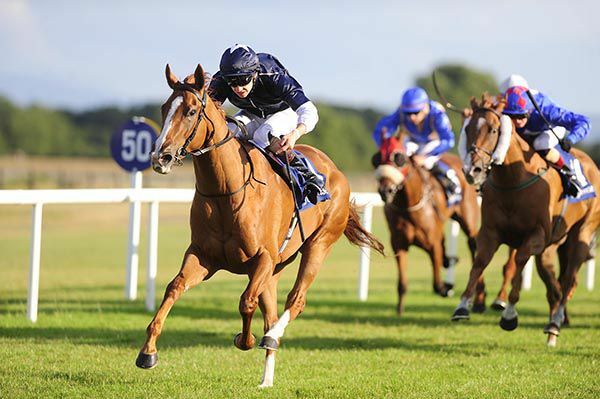 The O’Brien brothers also team up with Lady Godiva in the Toals.com Bookmakers Handicap for three-year-old rated 45-70, after a close second at Bellewstown on Thursday evening. They supply a likely type in National Glory for the Irish Stallion Farms EBF Maiden over seven furlongs. He chased home an odds-on favourite in a six-furlong maiden at this track in June. 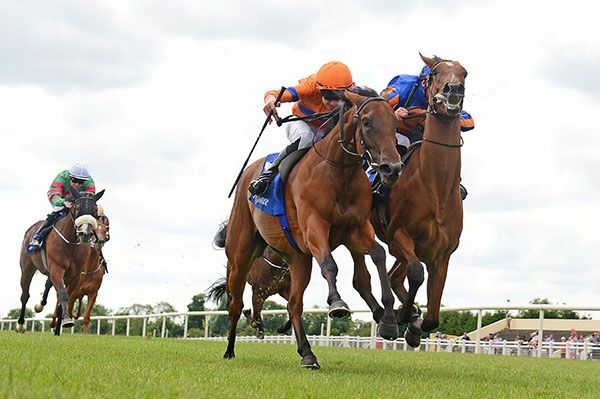 The Irish Derby winning team of Joseph and Donnacha O’Brien were again on the mark when landing the five-furlong Irish Mirror Maiden with Amthaal at Bellewstown. The 5/4 favourite Early Call and Social Butterfly set a blistering pace up front which had the nine-runner field well strung out before halfway. However Amthaal was able to track the pace-setters and the 11/4 chance was produced towards the far rail by Donnacha O’Brien to lead just inside the final furlong. The daughter of Exceed And Excel kept on well to hold View The Bay by three quarters of a length, with Run The Day staying on late to take third. Donnacha O’Brien said, “She has plenty of pace. They went hard so I got a grand tow into the race, and she quickened up nicely when I asked her. The Joseph O'Brien-trained Seize Your Star lunged late to grab the spoils in the concluding mile-and-a-half maiden at Bellewstown tonight. Long-time leader Erinlooked to have done enough in the finale as she stretched the field passing the two pole. Wayne Lordan got a good tune from Seize Your Star inside the final furlong and got her head in front close home to secure a neck victory. 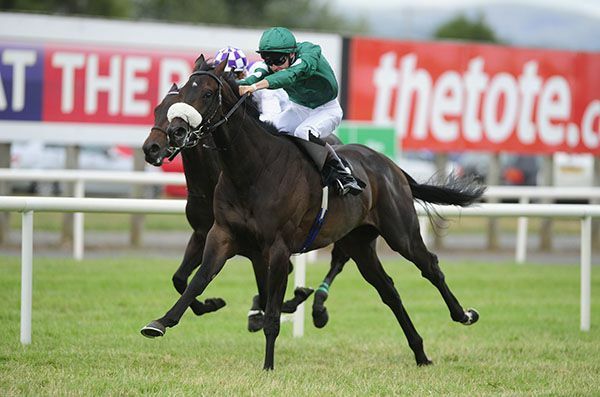 The 5/1 winner was making her third start and had finished fifth behind Imrana at Limerick 12 days ago. Lordan said:- "She's a grand filly and has stepped forward from each run. She's only having her third start, it's an undulating track and she got unbalanced in places but she got it together at the right time. "She's a grand filly and she'll improve again." The young training career of Joseph O’Brien reached new heights at The Curragh on Saturday after Latrobe won the Group 1 Dubai Duty Free Irish Derby in what was an all family affair. The trainer’s brother Donnacha would steer the son of Camelot to a 14/1 victory, beating their father Aidan and the powerful Coolmore partnership in the process, who filled second and third place with Rostropovich and race favourite Saxon Warrior, respectively. The success saw O’Brien train his first Classic winner and his third Group 1 on the flat. In his maiden season with a licence in 2016, Joseph won the Group 1 Moyglare Stud Stakes with Intricately in what was another memorable day for the family. Again, Donnacha did the steering and again, it was their father Aidan who trained the runner-up (Hydrangea) and the third (Rhododendron). Last season, the Owning Hill handler had the then biggest day of his rapidly evolving career when landing the Melbourne Cup with Rekindling, becoming the first three-year-old horse to do so since 1941. 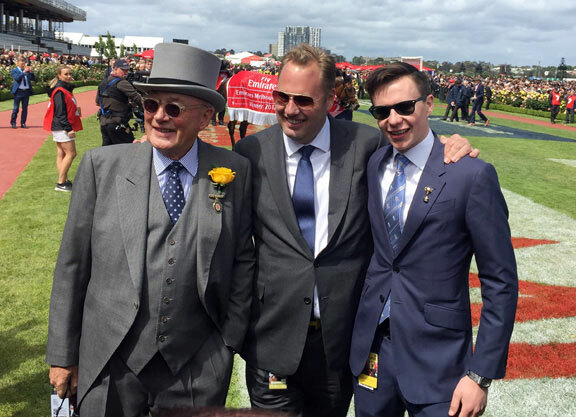 Like yesterday’s success, Lloyd J Williams was the owner, and now, in three seasons training, O’Brien has delivered one of Australian racing’s highest profile names a ‘Race that stops the Nation’ and an Irish Derby. Joseph’s early exploits in the National Hunt game shouldn’t be forgotten either, he very much runs a dual-purpose operation. While the success won’t go down on his own record, officially Aidan was the trainer, Joseph was the man behind Ivanovich Gorbatov’s 2016 Cheltenham Festival success in the Grade 1 Triumph Hurdle. That was for leading jumps owner JP McManus, and the pair have bagged other big races together since, most notably the 2017 Galway Hurdle with Tigris River, the Grade 1 Nathaniel Lacy & Partners Solicitors Novice Hurdle with Tower Bridge and the Grade 1 Irish Gold Cup with Edwulf. What O’Brien has achieved in his short training career at the age of 25, so far, has simply been incredible. Like his father, he just seems at ease with training these animals. The cynics will point to a privileged upbringing, and it’s naïve to overlook, but Joseph and Donnacha – along with the Sarah and Ana – know of their good fortune and come across as down-to-earth, from the outside. Money can’t make one work hard however, but it can very much send you the other way. It’s hard to say any of this family have taken poor steps, professionally, and don’t work hard. In a former guise, Joseph was a seriously underappreciated jockey – a two-time Derby winner in a short but highly successful career - who constantly fought nature to make weight, through wasting. Again, naysayers will suggest he was only riding because of who his father is, but in a business where stallions need to be produced by Coolmore via Ballydoyle, they can’t afford to suffer fools lightly. On the days that mattered, Joseph delivered more often than not. In the end, nature caught up with him and forced a big man into retirement, but in that sphere, success was achieved through graft as much as fortune. 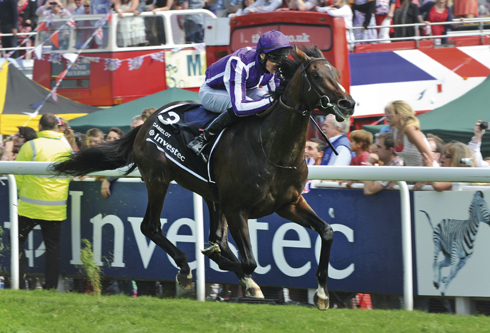 Joseph’s first Derby success came aboard Camelot in 2012 as a 19-year-old. Poignantly, Latrobe is a son of Camelot and gave his sire a maiden Group 1 and Classic winner from his first crop. Indeed, Latrobe was following in his fathers’ footsteps in bagging the 12f Irish Classic and while Coolmore will be disappointed in Saxon Warrior being beaten, Latrobe’s win will be a major boost to the stallion career of Camelot, who stands for the Tipperary operation. The career of Donnacha O'Brien, 19, is also on an upwardly curve this season and he deserves huge credit for his uncomplicated ride on the Irish Derby hero. 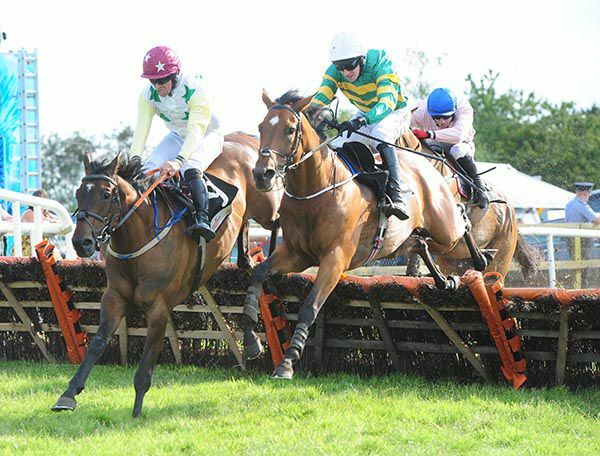 In a race where many riders appeared afraid to put their mounts into the early heat of battle, Donnacha stole a march on the vast majority of the field and, in a race run at a sedate pace by top-level standards, he was best positioned to strike. This victory means Donnacha has now bagged a 2000 Guineas, an Oaks and an Irish Derby so far through 2018 while also sitting second in the Irish Jockeys’ Title with a strike-rate of 25%. It was a successful weekend for the O’Brien family. Aidan trained nine winners and his sons won the weekend’s big race. It all leads me to question, nature or nurture, which is most important? I don’t know the answer, but I do know the O’Brien children have both on their side which means the famous surname that they hold may well continue to habituate Ballydoyle for another generation. Irish Derby winning trainer Joseph O'Brien was back in the number one spot at the Curragh again this afternoon courtesy of Band Of Outlaws. The 7/1 shot burst through inside the final furlong, under Wayne Lordan, to land the spoils in the €50,000 Lyndsey & Eleanor Comer Trust Handicap. The Fast Company colt was held up before coming between horses in the closing stages to get his head in front in the last 50 yards for a half length success over the fast finishing Tony The Gent. “Wayne gave him a great ride. He ran very well here on Guineas weekend, when Donnacha was very happy with him, and he just had nowhere to go,” said O'Brien. “Then he didn't get in to the Britannia (at Royal Ascot). This was obviously a nice pot here on a good track. “We actually thought he was a six furlong horse earlier in the year but he's actually better going seven or a mile and holding him up. "He had to wait today, and he got a little nudge, but he didn't panic on him and got there lovely. On Latrobe:- “He's fine. We don't know what we are doing next but we'll get the next few days out of the way and see what happens. “It was unbelievable and a special. I was so delighted for Donnacha and all the lads at home. Joseph O’Brien reflected on one the greatest days of his life the morning after saddling Latrobe to claim Irish Derby glory. 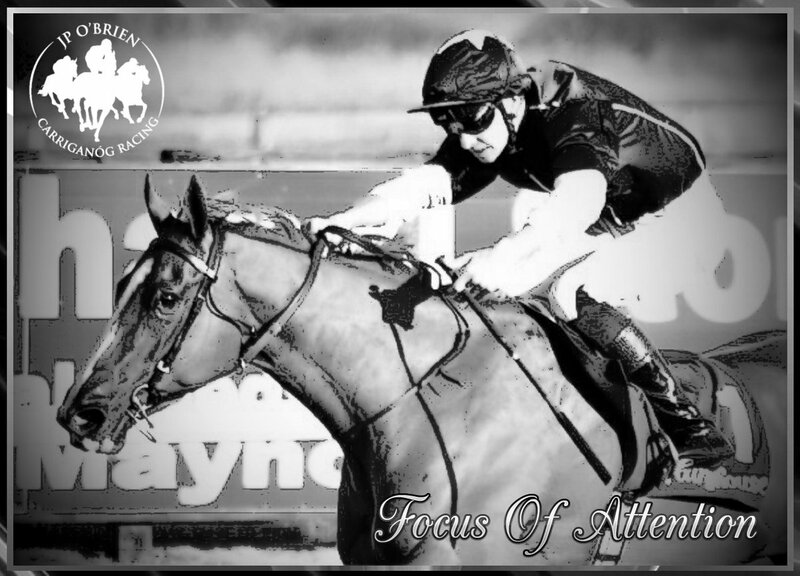 O’Brien is no stranger to big-race success, having won multiple Group Ones and Classics during his riding days before turning his attentions to the training game in 2016. In the last 12 months the dual-purpose handler has won a Melbourne Cup with Rekindling and an Irish Gold Cup with Edwulf before Latrobe provided him with a first Classic victory as a trainer at the Curragh on Saturday. Ridden by his brother Donnacha, the Camelot colt saw off four runners trained by their father Aidan O’Brien to record a famous triumph. Speaking on Racing UK’s Luck On Sunday programme, O’Brien said: “It was an unbelievable day. For the horse to win and Donnacha to ride him was special. It was right up there with any day in my life really. “We thought we had a good chance of finishing in the first four. We were going to drop in, but there was no speed on, so Donnacha let him move forward and slot in second. That was probably the winning of the race. O’Brien paid tribute to his brother, who was winning his third Classic of the season after winning the 2000 Guineas at Newmarket on Saxon Warrior and the Investec Oaks at Epsom on Forever Together. He continued: “I can’t actually remember the last day Donnacha rode out in my yard. He’s in Ballydoyle every day of the week and he rides work for me when we take the horses away. “He obviously rides a lot of them on the track and we speak to each other pretty much every day. We’re very close in that regard. “Donnacha is probably a bit more relaxed than I ever was. He takes things in his stride and he’s probably a bit more dedicated with his weight. O’Brien is in no rush to firm up future targets for Latrobe, adding: “Obviously there’s all the good races for him. He’ll probably have to step up again to take on the older horses.